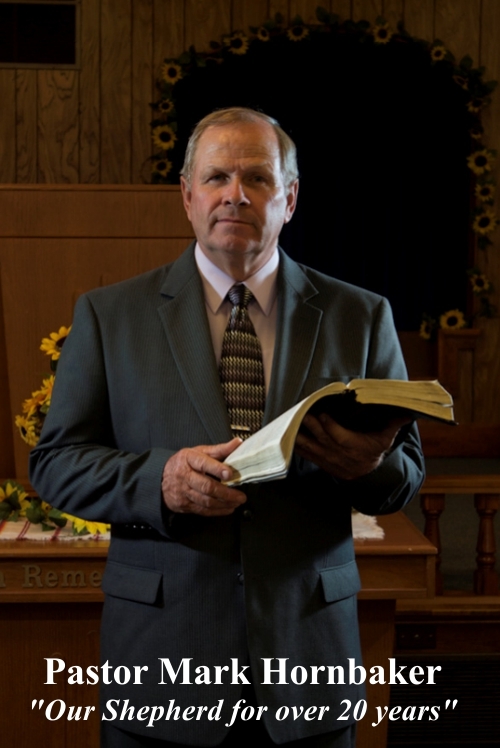 First Baptist Church of Lewis Kansas USA, Pastor Mark Hornbaker audio sermons. ● Sunday School at 9:30am ● Morning Worship at 10:45am ● Evening Service at 6:00pm ● Wednesday Night Prayer & Bible Study at 7:00 pm ● Men's and Women's Bible Study on Second Sunday at 6:00 pm ● Church Dinner on last Sunday of month. *Please note that the above times are general and may change due to other circumstances. "Salvation is Open to All"
In God's Word, He states, "If my people who are called by my name will humble themselves and pray and seek my face and turn from their wicked ways, then I will hear from heaven and will forgive their sin and heal their land". Prayer is privileged access to the God of the Universe, bought and paid for by the the blood of His Son on our account for all those who freely receive Him as Lord. Laridian Pocket Bible, Take your Bible resources with you on your Smartphone, Tablet, PC, or Mac. 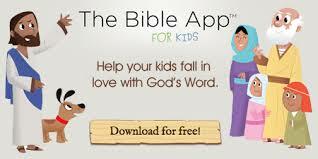 It's Free for the compleat Bible text and and it don't require a internet connection to use. A compleat list of Bible tools and Resources are avaliabvle for a modest purchase. Most popular stories from over thirty children's Bibles published from 1831 to 2013. Below are audio recordings of Pastor Mark Hornbaker's Sermons, click on the underlined link to play that Sermon. Also there are links to Music Specials, Programs, and Guest Speakers from our Services. Audio CD's are also available upon request, contact the church for more information. Click the above ^ underlined link to play audio sermon. Matthew 28:1-8, King James Version (KJV). Matthew 21:1-11, King James Version (KJV). The Creater died for the created. "Erroring, Carring, Coveted Brethren" by Pastor Mark Hornbaker. James 5:19-20. James 5:19-20, King James Version (KJV). Remember this: Whoever turns a sinner from the error of their way will save them from death and cover over a multitude of sins. "Quandreus Questions" by Pastor Mark Hornbaker. James 5:13-18. James 5:13-18, King James Version (KJV). "Three not's for a Christian" by Pastor Mark Hornbaker. James 5:7-12. James 5:7-12, King James Version (KJV). the Lords coming is near. "Judgement on the wicked rich" by Pastor Mark Hornbaker. James 5:1-6. James 5:1-6, King James Version (KJV). "Sins to Shun" by Pastor Mark Hornbaker. James 4:10-17. James 4:10-17, King James Version (KJV). "Faith Produces Wisdom" by Pastor Mark Hornbaker. James 3:13-18. James 3:13-18, King James Version (KJV). "Watch out for that Tongue" by Pastor Mark Hornbaker. James 3:1-12. James 3:1-12, King James Version (KJV). "Live out our Faith" by Pastor Mark Hornbaker. James 2:14-26. James 2:16-24, King James Version (KJV). "Practicing the Word of God" by Pastor Mark Hornbaker. James 2:1-9. James 2:1-9, King James Version (KJV). "Faith Obeys the Word" by Pastor Mark Hornbaker. James 1:19-27. James 1:19-27, King James Version (KJV). "Test and Temptations" by Pastor Mark Hornbaker. James 1:12-18. James 1:12-18, King James Version (KJV). Your not allright unless your allright with the Loard. "Trials" by Pastor Mark Hornbaker. James 1:2-11. James 1:2-11, King James Version (KJV). If any of you lacks wisdom, he should ask God, who gives generously to all without finding fault, and it will be givin to him. "In Christ" by Pastor Mark Hornbaker. 2ed Corinthians 5:17. 2 Corinthians 5:17, King James Version (KJV). Christ is all about You. "The story concerning the visit of the Wize Men of the East" by Pastor Mark Hornbaker." Matthew 2:1-13. Matthew 2:1-13, King James Version (KJV). "The unusual coming of Jesus Christ" by Pastor Mark Hornbaker. Matthew 1:18-25. Matthew 1:18-25, King James Version (KJV). Take Christ out of Christmas and you have a mess! "John's reason for writing his Gospel" by Pastor Mark Hornbaker. John 1:6-13. John 1:6-13, King James Version (KJV). How big is your God box. "Preparing the way for the Lord Jesus Christ" by Pastor Mark Hornbaker. Isaiah 40:3-8. Isaiah 40:3-8, King James Version (KJV). 7 The grass withereth, the flower fadeth: because the spirit of the Lordbloweth upon it: surely the people is grass. The grass withers, the flower fades. But the Word of our God stands forever. Isaiah 40:8. "Submission in the workplace" by Pastor Mark Hornbaker. Ephesians 6:5-9. Psalm 100, King James Version (KJV). Ephesians 6:5-9, King James Version (KJV). Ephesians 5:21 King James Version (KJV). Colossians 4:1 King James Version (KJV). "Sanctify the Lord God in yours hearts" by Pastor Avery Rutledge. 1st Peter 3:13-17. 1 Peter 3:13-17, King James Version (KJV). "Submitting yourself to one another in the fear of God" by Pastor Mark Hornbaker. Ephesians 5:21-31. Ephesians 5:21-23, King James Version (KJV). God has order in His affairs. "Be filled with the Spirit" by Pastor Mark Hornbaker. Ephesians 5:18-21. Ephesians 5:18-21, King James Version (KJV). Evidence of a Spirit fille Life. "Walk as Children of the Light" by Pastor Mark Hornbaker. Ephesians 5:13-17. Ephesians 5:13-17, King James Version (KJV). "The Way Of Christ" by Pastor Mark Hornbaker. Ephesians 5:1-12. Ephesians 5:1-12, King James Version (KJV). Look to see what it's there fore. "Quench not the Spirit" by Pastor Mark Hornbaker. Ephesians 4:30-32. Ephesians, 4:30-32 King James Version (KJV). "Put off the old and put on the new" by Pastor Mark Hornbaker. Ephesians 4:17-29. Ephesians 4:17-29, King James Version (KJV). "Purpose of the Gifts" by Pastor Mark Hornbaker. Ephesians 4:11-16. Ephesians 4:11-16, King James Version (KJV). "Unity" by Pastor Mark Hornbaker. Ephesians 4:1-12. Ephesians 4:1-12, King James Version (KJV). God put time in it! "To Know the Love of Christ" by Pastor Mark Hornbaker. Ephesians 3:14-21. "Praising God" by Pastor Avery Rutledge. Psalms:1-11. Psalm 29,King James Version (KJV). "Apostle Paul's Mystery" by Pastor Mark Hormbaker. Ephesians 3:1-13. Ephesians 3:1-13,King James Version (KJV). "Reconcilation of God and man" by Pastor Mark Hormbaker. Ephesians 2:11-22. Ephesians 2:11-22,King James Version (KJV). "Faithfull" by Pastor Mark Hormbaker. Ephesians 2:1-10. Ephesians 2:1-10,King James Version (KJV). For by grace are ye saved through faith, and that not of yoursalves, it is the gift of God. "God's Great Salvation" by Pastor Mark Hormbaker. Ephesians 1:3-14. Ephesians 1:3-14, King James Version (KJV). "Jeramiah the Weeping Prophet" by Pastor Mark Hormbaker. Jeramiah 9:23-24. Jeremiah 9:23-24, King James Version (KJV). "The problem is US" by Pastor Mark Hormbaker. Romans 6:16-22. Romans 6:16-22, King James Version (KJV). "Profession in not enough" by Pastor Mark Hormbaker. Matthew 7:21-17. Matthew 7:21-27, King James Version (KJV). When we see Christ, He will compleat us. "Forty Years" by Pastor Mark Hormbaker. Deuteronomy 6:4-9. "False Prophets" by Pastor Mark Hormbaker. Matthew 7:15-20. Matthew 7:15-20, King James Version (KJV). "Second Table" by Pastor Mark Hormbaker. Matthew 7:12-14.
the wrong way or The Right Way. "Prayer, Ask, Seek, Knock" by Pastor Mark Hormbaker. Matthew 7:7-11. Matthew 7:7-11, King James Version (KJV). "Giants In Your Life" by Pastor Avery Rutledge. Psalm 28. Psalm 28, King James Version (KJV). How do you face the Giants in you'r life? "A Woman who fears the Lord, Shall be Praised" by Pastor Mark Hornbaker. Proverbs 31:30. Proverbs 31:30, King James Version (KJV). "Not having a Sensory Spirit" by Pastor Mark Hornbaker. Matthew 7:1-6. Matthew 7:1-6, King James Version (KJV). "Proper Priorities" by Pastor Mark Hornbaker. Matthew 6:19-34. "How to Give and Pray" by Pastor Mark Hornbaker. Matthew 6:5-15. Matthew 6:5-15, King James Version (KJV). Give Us, Forgive Us, Lead Us! "Righeousness Part 2, the Seventh Commandment" by Pastor Mark Hornbaker. Matthew 5:20, 27-48. Matthew 5:20, King James Version (KJV). Matthew 5:27-48, King James Version (KJV). "Righeousness" by Pastor Mark Hornbaker. Matthew 5:20-26. Matthew 5:20-26, King James Version (KJV). "Christ Has Risen" by Pastor Mark Hornbaker. Matthew 27:50-28:10. Matthew 27:50-28:10, King James Version (KJV). "The Triumpal Entry of Christ into Jerusalem" by Pastor Mark Hornbaker. Matthew 21:1-11. *Picture a wild stallion that has been broken and is now tamed. That Stallion still has as much power as when he was wild, but now that power is bottled up for the master's use. "Hot Wired" by Pastor Mark Hornbaker. Matthew 5:17-19. Matthew 5:13-16, King James Version (KJV). Jesus knows all about our struggles, He will guide till the day is done. "Salt and Light" by Pastor Mark Hornbaker. Matthew 5:13-16. Matthew 5:17-19, King James Version (KJV). "Let your light so shine before men, that they may see your good works and glorify your Father in Heven." "The Truly Blessed, Part 2 " by Pastor Mark Hornbaker. Matthew 5:7-12. Matthew 5:7-12, King James Version (KJV). "The Cross is our bridge over the gap of Sin"
"The Truly Blessed" by Pastor Mark Hornbaker. Matthew 5:3-6. Matthew 5:3-6, King James Version (KJV). The ways of the Lord will Prevail"
"Fishing" by Pastor Mark Hornbaker. Matthew 4:18-25. Matthew 4:18-25, King James Version (KJV). "Christ Begins His Ministry" by Pastor Mark Hornbaker. Matthew 4:12-17. Matthew 4:12-17, King James Version (KJV). "Repent For the Kingdom of Heaven is at Hand"
"Taking On Temptation" by Pastor Mark Hornbaker. Matthew 4:1-11. Matthew 4:1-11, King James Version (KJV). God Is In It For You. "The Significance of Baptism" by Pastor Mark Hornbaker. Matthew 3:13-17. Matthew 3:13-17, King James Version (KJV). An Outward Act That Shows Forth A Inward Fact. "John the Baptist Preparies the Way" by Pastor Mark Hornbaker. Matthew 3:1-17. "The Escape to Eqypt" by Pastor Mark Hornbaker. Matthew 2:13-23. Matthew 2:13-23, King James Version (KJV). "The Alpha And The Omega" by Pastor Mark Hornbaker. Revelation 1:8. Revelation 1:8, King James Version (KJV). "Christ's Coming" by Pastor Mark Hornbaker. Luke 2:8-14. "The Lord is at Hand" by Pastor Mark Hornbaker. Philippians 4;5B. Philippians 4:5, King James Version (KJV). "Preparing The Way Of The Lord" by Pastor Mark Hornbaker. Luke 3:1-18. Luke 3:1-18, King James Version (KJV). "Our Names" by Pastor Mark Hornbaker. Matthew 1:18-25. "The Messiah's Mission" by Pastor Mark Hornbaker. Isaiah 49:1-6. Isaiah 49:1-6, King James Version (KJV). 49 Listen, O isles, unto me; and hearken, ye people, from far; The Lordhath called me from the womb; from the bowels of my mother hath he made mention of my name. "School" by Guest Speaker Pastor Avery Rutledge. 1st John 1:1-3. 1 John 1:1-3, King James Version (KJV). "Christ Return and Rewards" by Pastor Mark Hornbaker. Matthew 16:27-28. "The Lord's Conversation with His Disciples" by Pastor Mark Hornbaker. Matthew 16:24-28. Matthew 16:24-28, King James Version (KJV). In This Life We Need Christ! "Christ Reveals the Things to Come" by Pastor Mark Hornbaker. Matthew 16:21-28. Matthew 16:21-28, King James Version (KJV). "The Great Question, Who do you say I Am" by Pastor Mark Hornbaker. Matthew 16:13-20. Matthew 16:13-20, King James Version (KJV). "God Is With Us" by Pastor Mark Hornbaker. 1st Peter 1:3-12. 1 Peter 1:3-12, King James Version (KJV). "Practicality" by Pastor Mark Hornbaker. Galatians 5:16-26. Galatians 5:16-26, King James Version (KJV). "Your good is Not good enough" by Pastor Mark Hornbaker. Galatians 5:1-12. Galatians 5:1-12, King James Version (KJV). "Be Not Deceived" by Pastor Mark Hornbaker. Galatians6:7-10. Galatians 6:7-10, King James Version (KJV). "Paul's Ministry on Malta and at Rome" by Pastor Mark Hornbaker. Acts 28:16-31. Acts 28:16-31, King James Version (KJV). "Paul's Witness to Agrippa" by Pastor Mark Hornbaker. Acts 2-23; 27-29. Acts 26:2-23, King James Version (KJV). Acts 26:27-29, King James Version (KJV). "Die Daily to Sin and Become Alive Unto God Through Jesus Christ Our Lord" by Pastor Mark Hornbaker. Romans 6:1014. Romans 6:1-14, King James Version (KJV). "Man's Guilt" by Pastor Mark Hornbaker. Acts 1:1-14. Acts 1:14-26, King James Version (KJV). "Works of The Holy Spirit" by Pastor Mark Hornbaker. Acts 23:1-11. Acts 23:1-11, King James Version (KJV). "Faith Tested and True, part three, Paul's Argument" by Pastor Mark Hornbaker. Acts 21:33-39. Acts 22:1-29, King James Version (KJV).